At the time of this writing, the engine idles pretty much flawlessly and tweaking some cells in the VE Table improved reving somewhat before I fumbled. Don’t ask me how, but I loaded and burned a previously saved msq file when I was switching back and forth between MegaTune and TunerStudioMS. I had done that a few times earlier, but I must have clicked ‘Yes’ to the question. At least it’s not like starting COMPLETELY over. There are a couple of things going on that do not seem right. Most troubling is very flakey signals from the O2 sensor. It mostly stays pegged at 5 volts (or AFR 21.9, depending on which gauge you’re looking at), but will occasionally scatter like a crazy monkey. It was working well earlier in the day, at least returning believable numbers. Wiring looks good. I will try to locate or replace the programming cable and verify that the LC-1 is programmed correctly. With essentially no O2 sensor, I’m tuning kinda blind and my nose says it’s rich at idle and my ears say that it leans out around 4000 RPM. Right before I shut down for the evening, I made a log file of a short run. The first thing that was less obvious in MegaTune is a pulsing 5 KPa swing in Map at idle. This pulse occurs 6 or 7 times in most logged seconds, which corresponds with the expected vacuum pulses at idle. My vacuum signal is from one TB, which feeds two cylinders. (850 rpm / 2 cylinders) / 60 seconds per minute = 7 pulses per second. 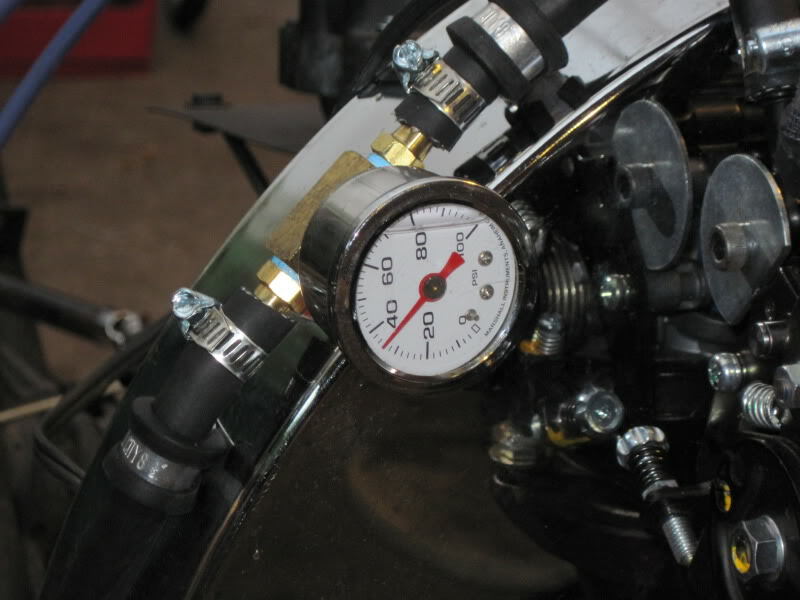 I recall a mention of such pulsing making tuning difficult and a damper made by restricting the vacuum signal slightly and following the restriction with some kind of accumulator, such as a clean, dry fuel filter. I will implement such an accumulator. In the mean time, I will continue analysing the log file. In a more entertaining note, it’s interesting to see single isolated MAP readings of 159 or so, which I presume correspond to backfires. Early in the first start process, when it was beginning to have a useful amount of fuel but was still too lean to run, I had a few spectacular backfires. One of them actually popped one side of the throttle body out of its rubber boot! It Runs! Or at least it Starts and Idles! The starter was definitely going. I pulled it out and found bronze colored flakes from where the motor shaft had been chewing on the bushing and an elongated center hole in the bushing to match. For the non-VW people reading this, the aircooled VW uses a smallish starter motor with a shaft that engages a bushing in the transaxle case. I don’t personally know if any other vehicles do this, but it is unique in my limited experience. It is also logical. 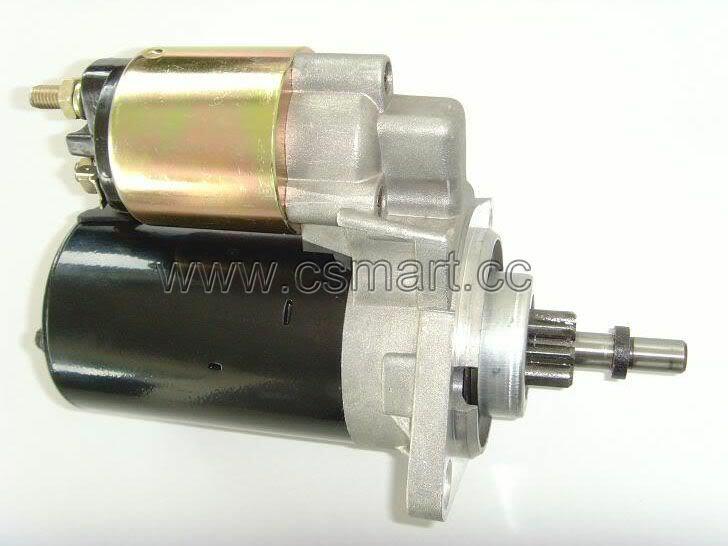 The starter itself does not have to be as large as the usual starter with this shaft support built in, so the entire assembly is more compact. So, my starter woes were just beginning because this transaxle used to be on a 6 volt Beetle. 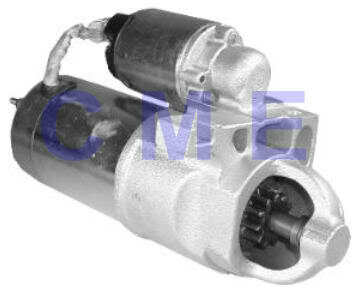 In 1967 when the line was converted to 12V, one of the major modifications was in the starter setup. The 12V flywheel has a few extra teeth, so it’s a little larger in diameter. The starter pinion gear is smaller (fewer teeth, with a side benefit of more mechanical advantage) and with the smaller pinion comes a smaller motor shaft and smaller bushing. 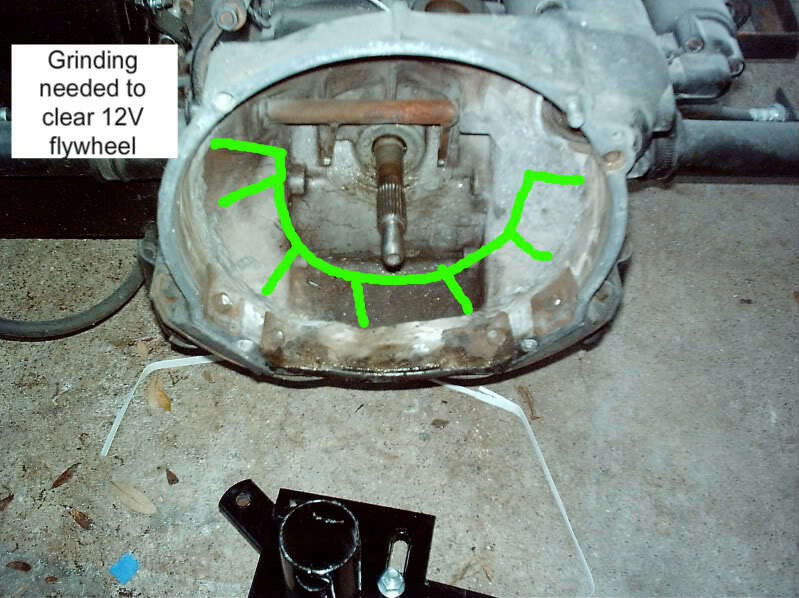 I knew the transaxle had been from a 6V because of the other modifications needed to make room for the bigger 12V flywheel, but I did not yet know about the bushing change. The easiest way around this problem is to use a starter from an automatic transmission, which for what I presume are other reasons, does not use the shaft support bushing at all. However, AutoZone did not stock it and I didn’t want to wait for them to order it in (I need a starter NOW!) so I took a standard 12V starter. When I got home, I verified my concerns about the bushing, but I pulled the old one out anyway. Oh, and I discovered during the photo hunt above that they make a tool for pulling this bushing non-destructively. 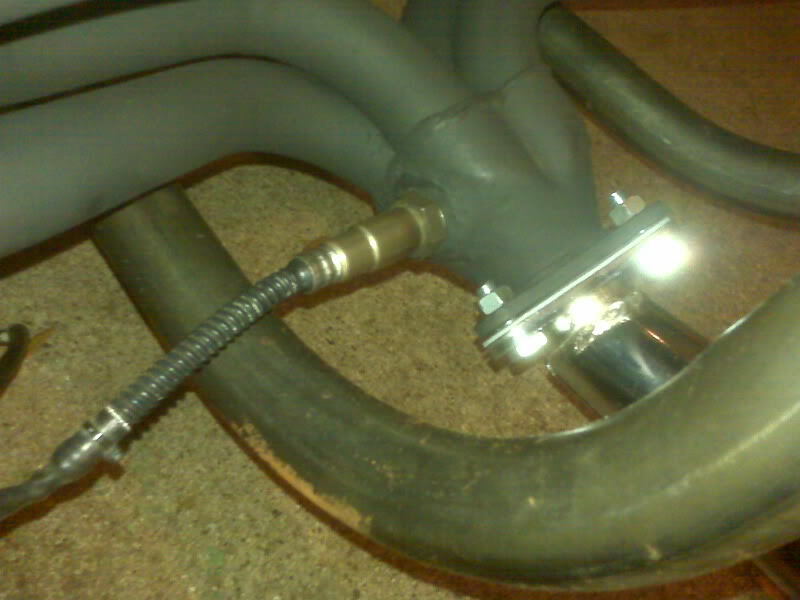 I don’t have one, so I use an adequately large tap threaded into the bushing. The end of the tap presses against the engine case and the threading action pulls the bushing out. Thanks to Ricky of the BTW for supplying this excellent tip. Of course, once the bushing was out, my bushing size fears were confirmed. I did a little more searching and found a starter for an automatic at an O’Reilly a little distance across town. It is a substantially larger starter, but it fits and spins the engine WAY better than the old one, pretty much confirming my theory that the battery is probably OK. 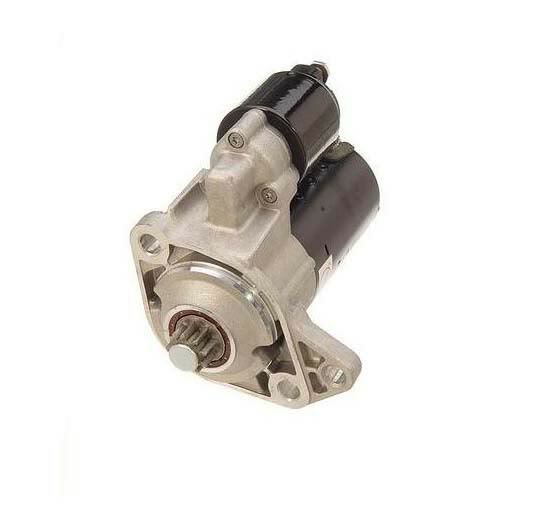 In searching for the images of the starters above, I also discovered that there are plenty of vendors that supply a bushing properly sized to run a 12 volt starter in a 6 volt transaxle. They tend to run about $3, so it would be a good thing for me to have a couple of, maybe even zip tied to the starter in case I have to replace one on the road and cant get a starter for an automatic. 1. Make parameter change that kills the engine. 4. Press and hold remote starter button. 5. Whack on starter solenoid with deadblow hammer until it cranks. Before I shut out the lights last night, I pulled the starter out and will return it for replacement today. The deadblow hammer ensured that there are no overt signs of any starter abuse. As for the *actual* process of getting the engine to start, I had a curious symptom. The calculator in MegaTune suggests a ReqFuel setting of 13.6, derived from plugging in 1600cc displacement, 245 cc/min injectors and a target AFR of 14, but I had to slowly step it up to 44 to get it to start and run well. I would almost expect 26 or so if I’d made a couple of improper assumptions, but the jump from 13.6 to 44 suggests I must be plugging the wrong number in somewhere. Interesting enough, I have just discovered that the online calculator in the the MegaManual returns 44.1 for the same parameters. With some experimenting, the online calculator will return 11 if I set it for 4 squirts and 14.7 AFR (Gasoline in the pull down selection). I will need to compare this to MegaTune. In any case, I was able to get a very decent idle and, so long as I open the throttle VERY slowly, I can rev it up and it spins nicely till about 4000 RPM, where it starts sounding very lean. Author adminPosted on May 16, 2010 August 15, 2018 Categories 70-something Stires TrikeLeave a comment on It Runs! Or at least it Starts and Idles!